The petitioners were two failed asylum seekers, 37-year-old Malaysian nurse Reetha Suppiah and 25-year-old Nigerian national Sakinat Bello. 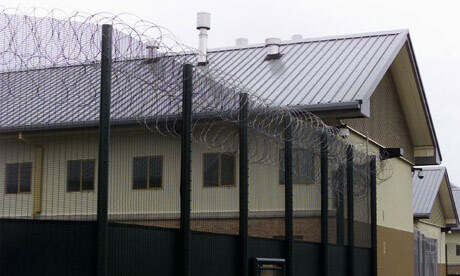 They were arrested by the UK Border Agency (UKBA) in February 2010 and were taken to Yarl’s Wood, the UK’s main removal centre for women and children on the ground, pending arrangements for their removal from the UK. With them were Suppiah’s two boys, aged one and 11, and Sakinat’s two year old daughter. They were detained for 17 and 12 days respectively. The Claimants sought a declaration that the Government policy on detaining minors at the centre was so flawed that it could not be operated lawfully. Their grounds for challenge further alleged that the rights of the Claimants under Articles 3, 5 and 8 of the European Convention had been breached. In all the controversy surrounding child detention for immigration purposes it is easy to lose sight of the statutory underpinning of the Secretary of State’s power to detain in these circumstances. A person may be detained pending deportation pursuant to paragraph 2(3) of Schedule 3 of the Immigration Act 1971, and a number of factors may be taken in to account in determining whether this detention is necessary. Refusal of voluntary repatriation is one of them. it is important not only as evidence of the risk of absconding but also because there is a big difference between administrative detention in circumstances where there is no immediate prospect of the detainee being able to return to his country of origin and detention in circumstances where he could return at once. In the latter case the loss of liberty involved in the individual’s continued contention is a product of his own making. The sixty-six page judgment – which is heavily fact-specific – does little to elucidate what these principles are. The Defendant’s current policy relating to detaining families with children is not unlawful. There is, nonetheless, a significant body of evidence which demonstrates that employees of UKBA have failed to apply that policy with the rigour it deserves. There is anyway considerable uncertainty over whole question of whether failure by the Home Secretary to act in accordance with her published policies relating to detention renders the detention in question unlawful. The Supreme Court is about to give judgment in two cases which will provide the answer to the point and others related to it (the appeals from the Court of Appeal in R(SK(Zimbabwe)) v SSHD and R(WL) (Congo) v SSHD. The claimants got home, generally, on their Convention rights, although it is difficult to pick out with any precision the ratio of this part of the judgment, occluded as it is in the dense mass of material advanced by the intervening parties. Two out of the three Convention claims were successful: Articles 5 and 8. The former merited no discussion in the judgment. In respect of the latter, the claimants submitted that when balancing competing considerations under the right to respect for family life, the paramount consideration is the interests of the child or children. The judge rejected this submission, along with the claimants’ contention that, in considering whether there was evidence of inhuman and degrading treatment for the purposes of Article 3, the normal high threshold should be lowered when the subject is a child with poor English. Such favouritism in its application would invite further criticism of the Convention from those who see it as something as a hostage to fortune in immigration matters. The most noteworthy feature of this judgment is that nowhere does it say – nor was it contended by the claimants themselves – that a policy which permits the detention of families with children can never be lawful, or that detention of children can never be lawful whatever the terms of the Home Office policy. This argument is therefore still unvindicated by the courts; it remains to be seen whether it wins the day by virtue of government action. As Rabinder Singh QC argued, surely ‘the policy cannot lawfully be operated in practice’. The fact that, in 2009, one child was held for 158 days is testament to this.